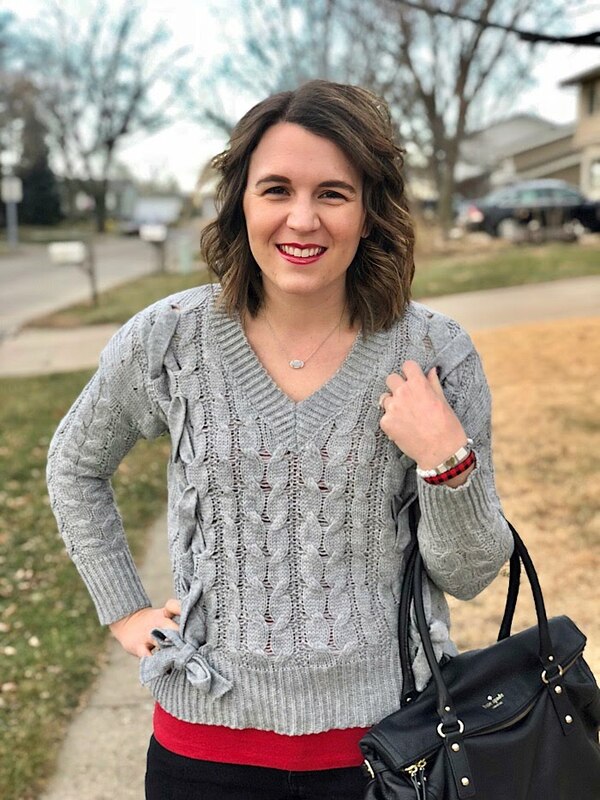 I've been loving the pretty details of lace up sweaters lately, but sometimes it is hard to find one that is mom/teacher appropriate. 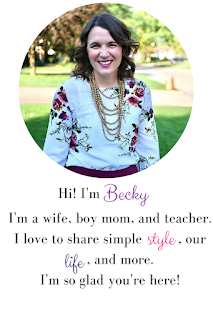 I found one that fits the bill and is super affordable! 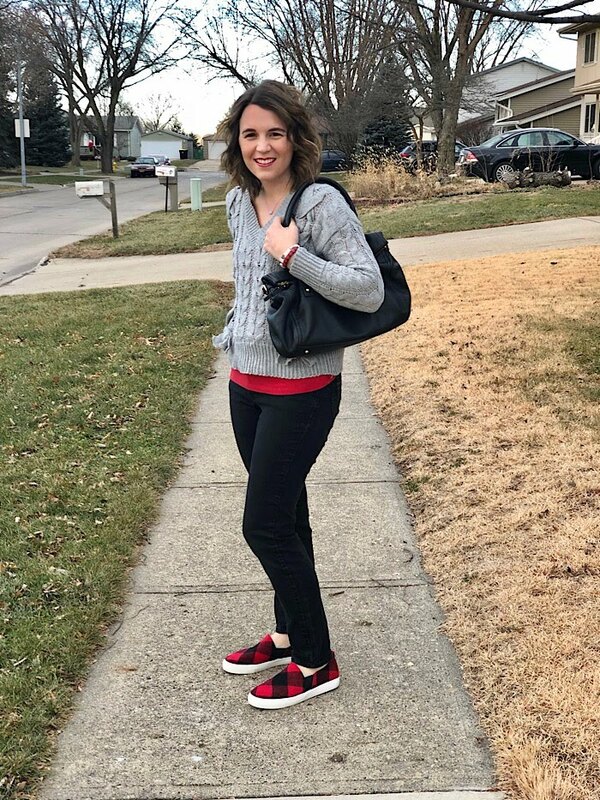 I'm a HUGE lover of buffalo plaid, so when my friend Jamie had these sneakers I just HAD to know where she got them! I kept my eye out for sales and ended up getting them for 40% off. 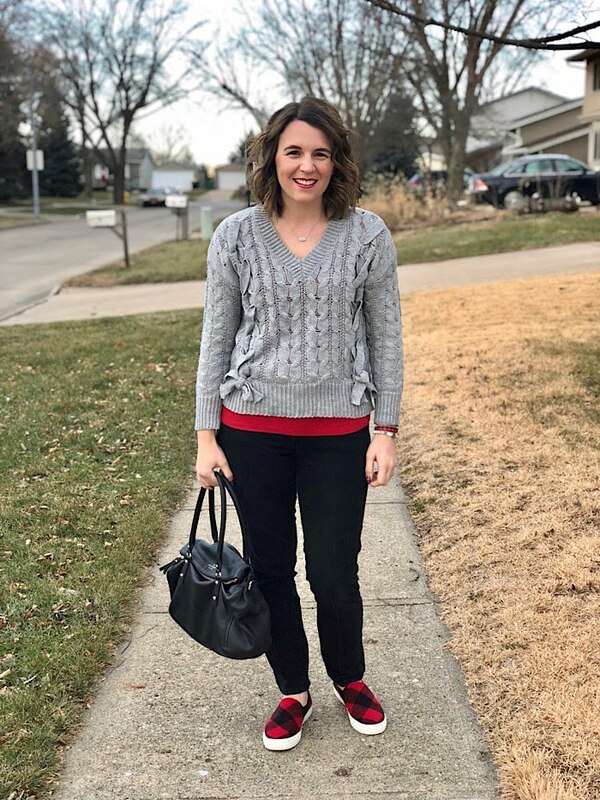 I think they add a huge pop to this outfit and coordinate with the red peeking out from my sweater. I love this sweater. It s pretty light weight. I don't think you could wear it without a cami or tee underneath, but I like how adding a cami tied the whole outfit together. 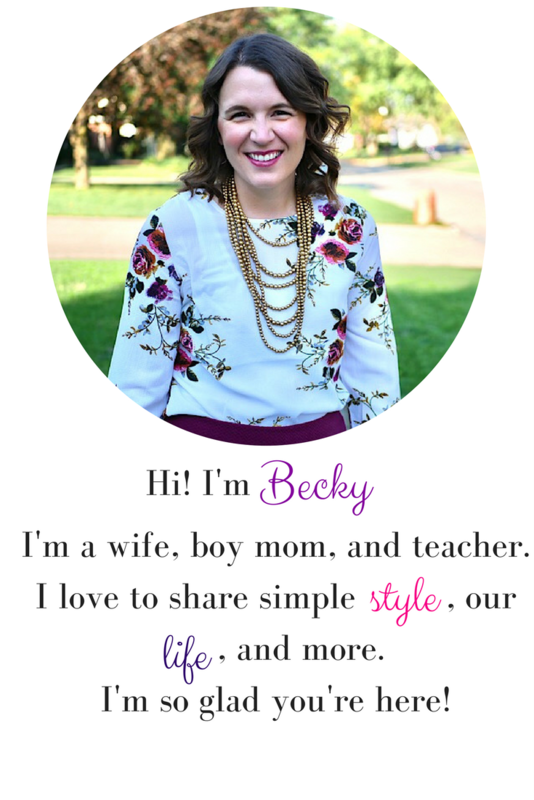 The lace up detail is fun and very work appropriate. 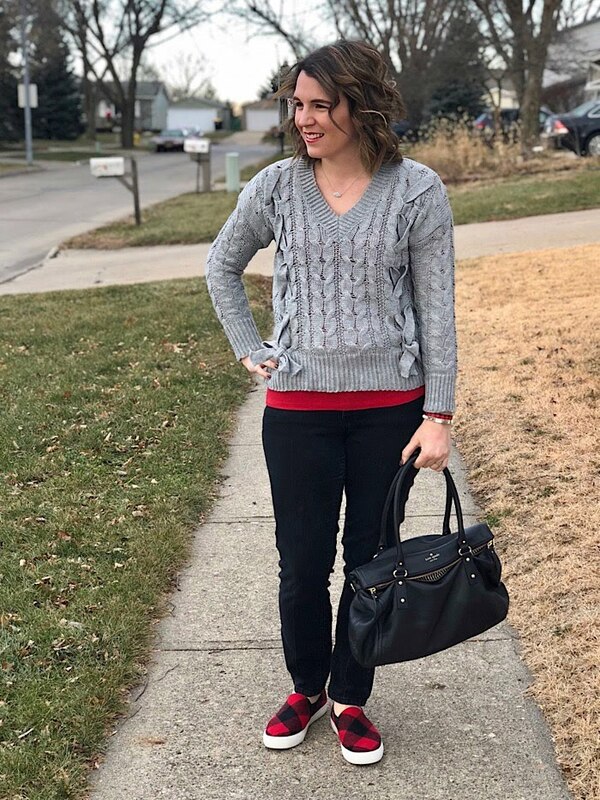 This sweater is one size, and I would say it would fit people who are a small to a medium, but they have a ton of cute lace up sweater options!. 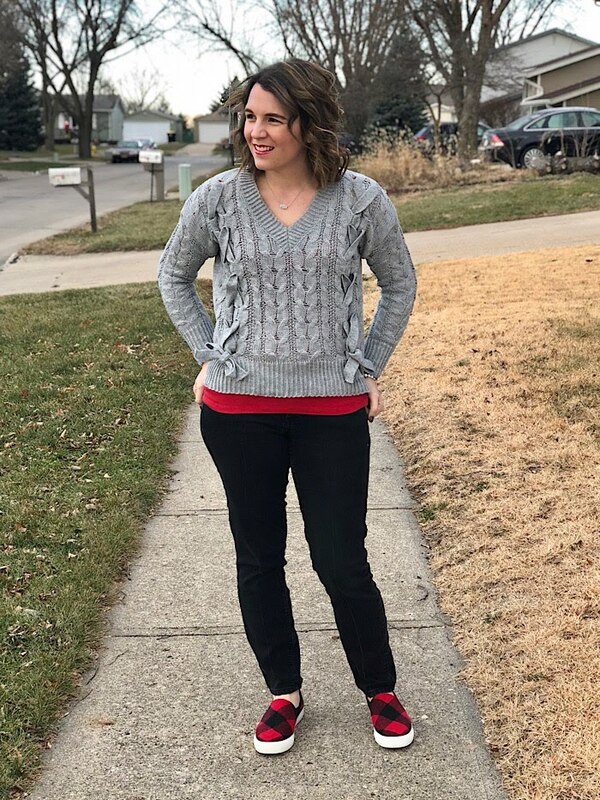 This outfit is great for church, work, shopping, getting together with friends, or just about anything! 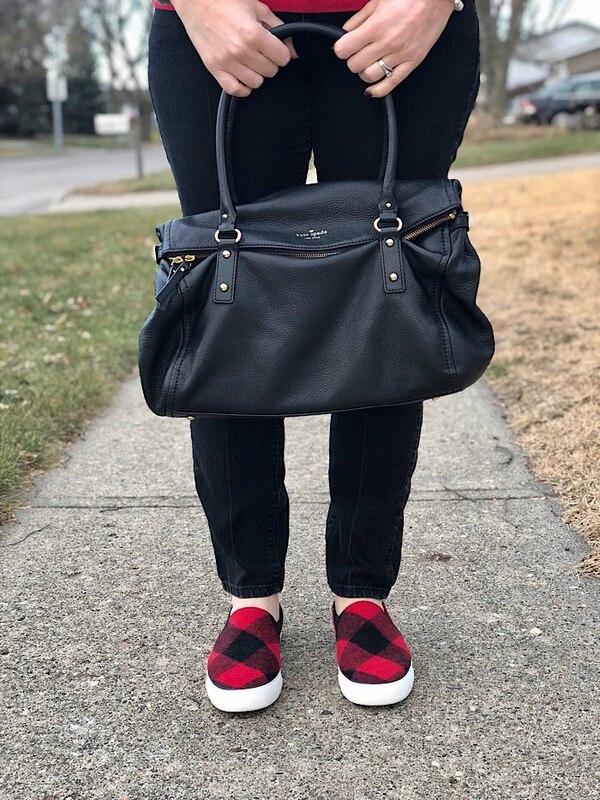 Are you a buffalo plaid lover? Have you tried the lace up sweater trend yet?